Obituary for Lois (O'Roark) Daniels | Frank Kapr Funeral Home, Inc.
Lois O’Roark Daniels, 94, a longtime resident of Mt. 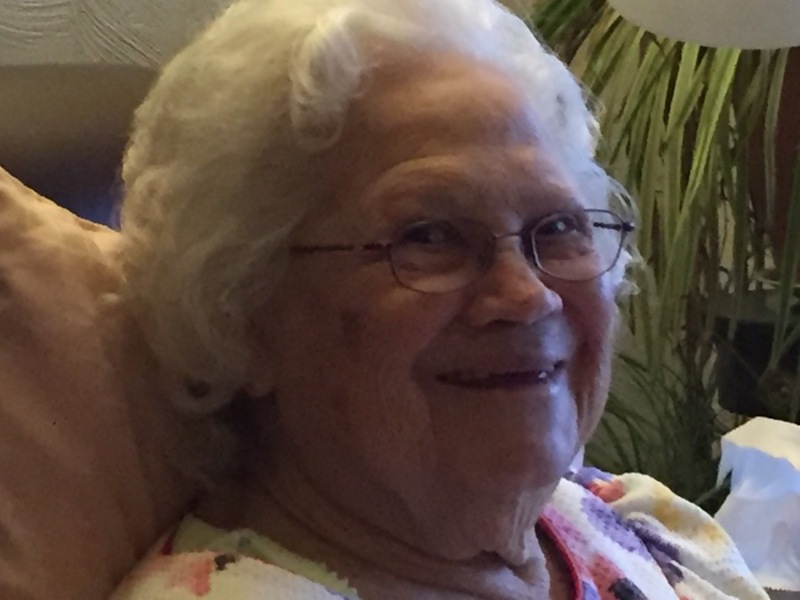 Pleasant, died peacefully, Monday morning, March 18, 2019 in the comfort of her home surrounded by the love of her family. She was born August 3, 1924 in Alverton, the daughter of the late Marion and Genevieve Frey O’Roark who passed away June 23, 1991 and September 8, 1988 respectively. Lois was a retired secretary for Gulisek Construction Company of Mt. Pleasant with 25 years service. Previously she had been employed by Robertshaw Controls with 10 years service. Lois loved to paint, make ceramics, Basket weaving, Crocheting and reading. She was known for her warm smile and was dearly loved by her family, whom` she loved very much in return. Her former Daughter-In-Law, Daviette White of Crafton, who always was there to visit and help with Lois. Lois’s family cordially invites family and friends to the Frank Kapr Funeral Home, Inc. 417 Pittsburgh St. Scottdale, Wednesday from 2- 4PM & 6 – 8PM. Her Funeral Service will be held Thursday at 11AM in the Funeral Home, with her minister, Pastor Bob Huber, Officiating. Committal Services and Interment will follow in Mt. Joy of the Brethren Cemetery, Mt. Pleasant. The family would like to thank Her former Daughter-In-Law, Daviette White of Crafton, who always was there to visit and help with Lois and Amedysis Home healthcare and Hospice of Scottdale, for their exemplary care and professionalism not only to Lois, but to her family also. In lieu of customary remembrances, the family suggests that memorials be directed to the Mt. Pleasant Church of God 936 W. Main St. Mt. Pleasant, Pa. 15666 in memory of Lois Daniels.